Last year’s parade was so much fun, we are doing it again! All Font Hill community children and grandchildren too! Decorate in a patriotic theme a wheeled vehicle – strollers, skates, bicycles, tricycles, scooters, wagons, etc., and yourself! No skateboards please. 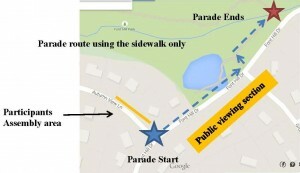 10:30 am – 10:45 Parade participants assemble by Autumn View Lane and Font Hill Drive. The membership table will be available to accept payment of dues, please bring cash or check. Your membership dues makes events like this possible in our neighborhood. Come with or without children. Come to meet new neighbors, Come to celebrate with old neighborhood friends. Don’t forget to show your patriotism. Let’s celebrate this fabulous country with friends and your Font Hill family. This event is sponsored by YOU – The Font Hill Neighborhood Association paying members.